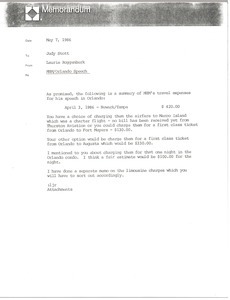 Outlining reimbursements and costs for Betsy's airline ticket. 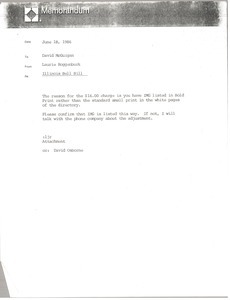 Concerning the attached invoice from Illinois Bell for IMG's listing in the white pages directory. 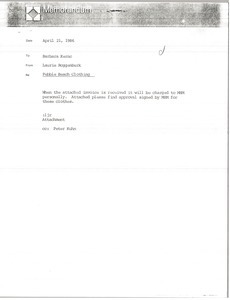 Roggenburk sends a memorandum regarding clothing purchased at Pebble Beach. 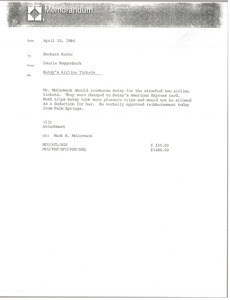 Concerning Mark McCormack's travel expenses for his speech in Orlando. 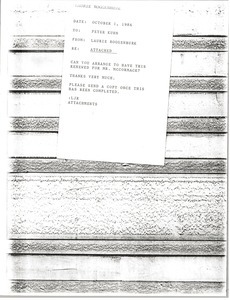 Roggenburk asks to have Mark H. McCormack's subscription to South African Golf renewed. 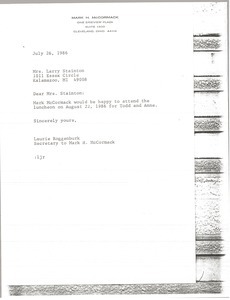 Confirming Mark McCormack's attendance at the August 22, 1986 luncheon for Todd and Anne. 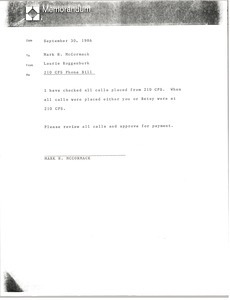 Roggenburk writes regarding telephone calls from 210 CPS. 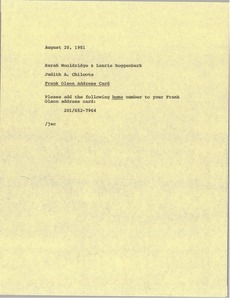 Forwarding Frank Olson's home number to be added to his address card. 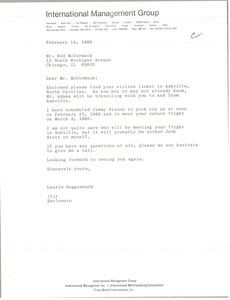 Concerning the enclosed airline ticket to Ashville, North Carolina to attend Mark McCormack's wedding. 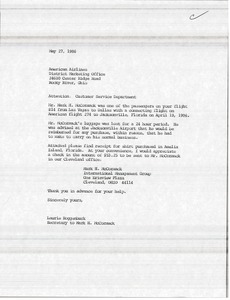 Laurie Roggenburk writes American Airlines to request reimbursement for a shirt McCormack purchased when his luggage was lost on a recent American Airlines flight. Enclosure not with letter.